Hand & Machine Studio is a design & ceramics studio located in El Sereno, Los Angeles. We offer memberships, access to tools, custom fabrication services, and classes in the areas of ceramic arts, pottery, digital fabrication, and industrial design. 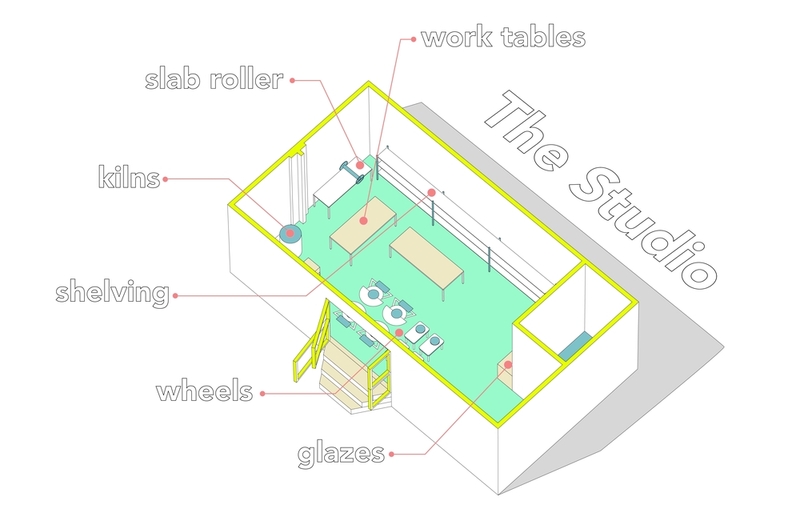 Our space is a fully functioning ceramics studio in a 1200 sq.ft. facility equipped with electric wheels and a variety of clay bodies. The studio is located in a re-purposed warehouse with an open floor plan and sweet, sweet natural light. We also supply a laser cutter and 3D printer on site. Hand & Machine Studio was started by three designers who wanted to collaborate on projects as well as open their work space to other creatives. If you need help with a project, or want to refine a skill set, come by and see if we can help you out. We have backgrounds in ceramic arts, architecture, and digital fabrication.